The Updated BOOK is In. 2018-2019; Mississippi Divorce, Alimony and Child Custody with Forms. Mississippi Divorce, Alimony and Child Custody with Forms, 2018-2019, is hitting the shelves and internet near you. This edition, in addition to bedrock family law principles, includes statutory and case law updates regarding jurisdiction, alimony, equitable division, business valuation, contempt, attorney fees, visitation, custody and de facto marriage concerns. It also includes updated, revised and new forms. 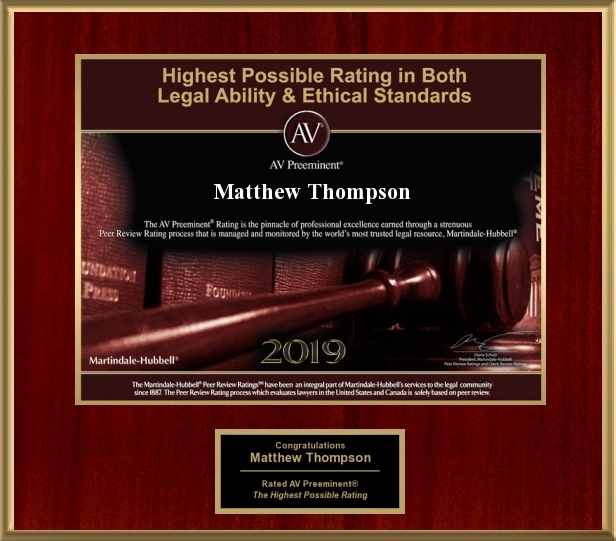 Matthew Thompson is a Family Law practitioner in Mississippi and has been the author of Mississippi Divorce, Alimony and Child Custody with Forms, since taking the reigns from his now retired Law School professor, the venerable Shelton Hand.